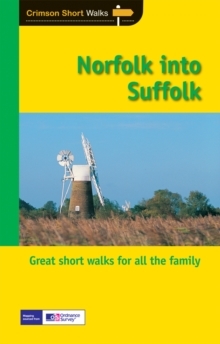 First-time visitors to the coastal areas of Norfolk and Suffolk may be surprised at the landscape they encounter, for although there are vast areas of low-lying ground, it is not the monotonous dead-flat expanse that some imagine. Set against a backdrop of gently rolling countryside that is broken by rich woodlands, undulating heaths, winding tracts of water and picturesque villages, is an intriguing fringe that is precariously balanced in an age-old contest between man and the sea. For the most part uncrowded, the area is a place of quiet retreats, where it is easy to slip out of the frantic pressures of a work-a-day life.